I got this new book in the mail today. It is terrific. I can’t believe it was only one dollar. Go figure. 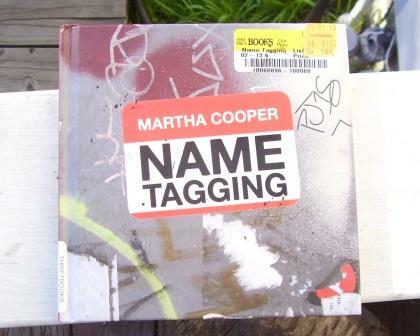 It’s called “Name Tagging” by Martha Cooper, published in 2010. Anyway the pictures are really great and there’s a little bit of descriptive text to go with them, not too much, just enough. 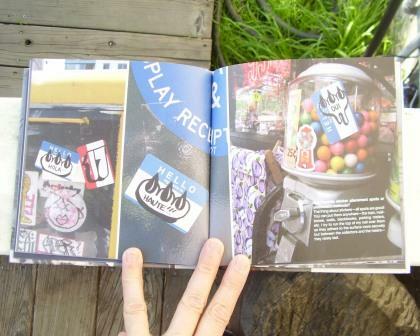 But forget the text – this book is about pictures of tags on stickers, plain and simple. My favorite is the section on CLAW. She’s brilliant. Anyway, if you love to study, collect or just gawk at tags on stickers, this little book is a gem.